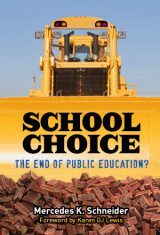 The summer of 2015, I wrote my third book, this one on school choice (charters and vouchers), entitled, School Choice: The End of Public Education?. It was published by TC Press on July 08, 2016. Proponents of market-driven education reform view vouchers and charters as superior to local-board-run, community-based public schools. However, the author of this timely volume argues that there is no clear research supporting this view. In fact, she claims there is increasing evidence of charter mismanagement–with public funding all-too-often being squandered while public schools are being closed or consolidated. Tracing the origins of vouchers and charters in the United States, this book examines the push to ”globally compete” with education systems in countries such as China and Finland. It documents issues important to the school choice debate, including the impoverishment of public schools to support privatized schools, the abandonment of long-held principles of public education, questionable disciplinary practices, and community disruption.School Choice: The End of Public Education? is essential reading for anyone seeking a deeper understanding of the past and future of public education in America. * Provides a comprehensive historical account of the origins of vouchers and charters. * Includes accounts of intriguing historical experiences. * Examines the defunding of neighborhood public schools in favor of often-under-regulated charters. * Reveals charter school ”churn” that often follows the closing of a mismanaged charter. * Provides a cogent counternarrative to the claim that charters are necessary for America to compete globally. To read an excerpt (taken from chapter 10, Gulen Charters), click here. 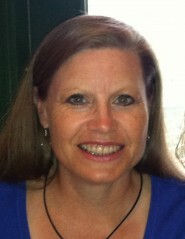 To read California teacher, Thomas Ultican’s, review, click here. School Choice: The End of Public Education? is available from TC Press and on Amazon.com.